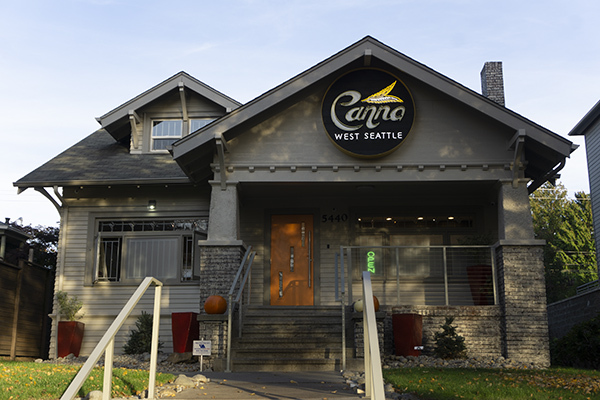 Situated on bustling California Ave SW in beautiful West Seattle, Canna West provides the ultimate cannabis experience for both the new cannabis consumer, and the seasoned cannasseur. Recently relocating across the street from their previous location, Canna West is a warm, welcoming shop with extremely knowledgeable budtenders. In addition to providing a plethora of recreational cannabis options, they have a top notch medical marijuana program thanks to founder Maryam Mirnateghi, a passionate advocate for medical marijuana patients. Led by Ariana Ramirez, Certified Medical Consultant and Medical Program Manager, MMJ Card Holders can come into Canna West Mondays and Tuesday from 11am-7pm to speak to Ariana about their medical marijuana needs. 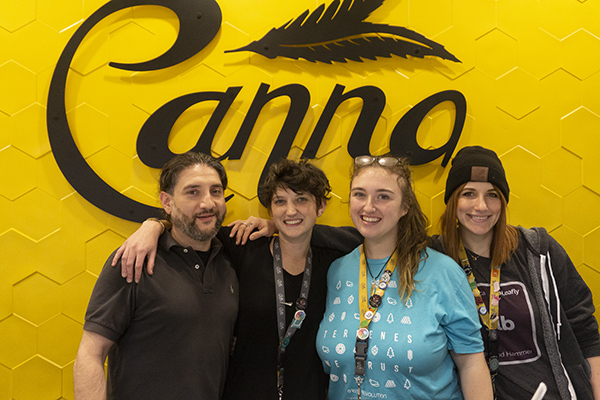 Heavenly Buds had the honor of hosting the Canna West team of budtenders for an educational presentation this week, followed by a fun in-store vendor day. 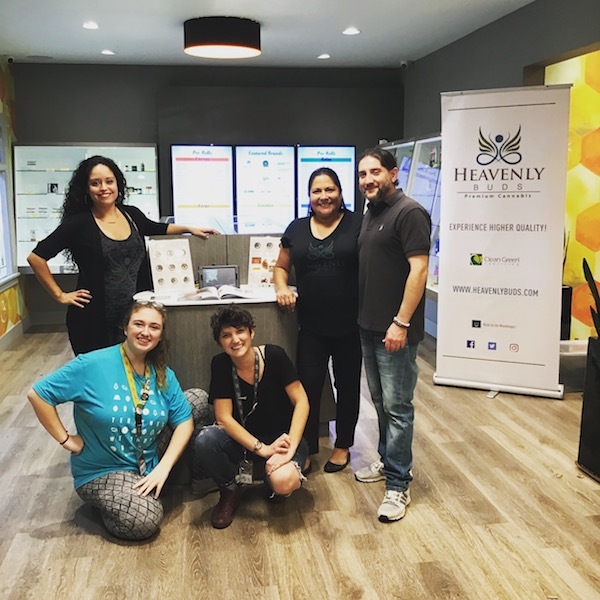 We provided their team with information and resources that will assist them in selling our products in store, like reviewing each of our strains and discussing terpenes, and cannabis interactions with food. After the presentation the team enjoyed a spread of snacks and drinks, and hopefully left feeling confident about their Heavenly Buds knowledge. We enjoyed getting to know the team and interacting with their customers at the vendor day. Huge thank you to the entire team for a great day – Jordan, Amir, Sky, Ness, Asil, Liz, Ariana, Jeff and Courtney. We look forward to a fruitful partnership and we can’t wait to come back! Join them next month when they transform their previous location – directly across the street from the store – into a boutique with art, apparel, accessories, and other paraphernalia. The Culture Shop Founding Celebration will be Saturday November 10th from 1pm-5pm. Come celebrate with them and enjoy local eats, entertainment, and giveaways! Learn more about Canna West on their website and follow them across social media to stay updated on all the exciting happenings.